This is the first part of a research essay that I wrote for a history class. In this essay, I look at the fascination that Europeans and Euro-North Americans, myself included, have had with pretending to be North American aboriginals, with “playing Indian.” Particular focus is given to my experiences playing Dungeons & Dragons and Werewolf the Apocalypse, but a fair amount of historical context is supplied as well. It was one in the morning and there were perhaps thirteen of us, twelve men and one woman, are sitting cross-legged inside a tepee in the middle of the forest. It was my turn to tell a tale and I told of how my pack and I had destroyed an evil spirit, a spirit of corruption and greed who had controlled a shopping mall. I swelled with pride as I recounted the story, since no matter how much humanity laid waste to the old ways and wounded the Earth with their greed and pride, I knew that I was blessed. After all, Gaia and all her children were mighty within me, for I was a werewolf and a mighty spirit-warrior of the Earth. Through role-playing games, such as the session of Werewolf the Apocalypse described above, people are able to take on roles different from themselves, to explore different perspectives, different identities, and even different cultures. In many cases, the players are drawn to embrace a culture closer to nature and more spiritual than their own, one not unlike a stereotype of the aboriginals of North America. In exploring this stereotype, these role-players echo a desire that many Europeans have had for centuries. From the Enlightenment philosophers and Romantic poets who mused about the “noble savage” to the pseudo-aboriginal organizations and the powwows of North America, numerous people of European descent have gazed at the aboriginals in envy for what they felt was missing in their own lives. Despite Western Europe’s dominant philosophy of industrial and technological advancement, many Europeans and Euro-North Americans throughout history have yearned for a simpler and more naturalistic environment, like a return to the Garden of Eden, when people were primitive and wild and full of joy. The 16th-century French statesman Michel de Montaigne conjured forth the idea of the “noble savage” when he described the aboriginal inhabitants of North America as a culture that has no trade, no leaders, no servants, even the very words which mean lie, treason, simulation, avarice, envy, slander, forgiveness, are unknown. Numerous other philosophers after Montaigne, such as the 18th-century philosopher Jean-Jacques Rousseau, similarly crafted this image of the aboriginal as the “noble savage” who intuitively possesses wisdom that more “civilized” men have lost. For these people, the aboriginal person was primarily useful as a metaphor to explain their own political theories. This fascination with the aboriginal perspective continued into the 19th-century. When philosopher and early environmentalist Henry David Thoreau recalled his self-imposed near isolation at Walden Pond, he frequently referred to himself as a “heathen” because of his closeness with nature and commented that in living in rapport with the natural world that “I lived like the Puri Indians, of whom it is said that ‘for yesterday, to-day, and to-morrow they have only one word.’” This yearning for a pre-Christian closeness to the natural world is mirrored in the writings of the Romantic poet William Wordsworth, who said “little we see in Nature that is ours…. It moves us not. – Great God! I’d rather be a Pagan suckled in a creed outworn,” though in his case it was the spirituality of the Greek pagans that he envied. Even more dramatic was Henry Wadsworth Longfellow’s 19th-century epic poem The Song of Hiawatha, in which he says “ye who love the haunts of Nature, love the sunshine of the meadow, love the shadow of the forest…. Listen to this Indian legend, to this Song of Hiawatha!” Longfellow specifically calls out to lovers of both nature and legends, and indeed the poem evokes an idealized world full of potent myths in which man can be one with the natural world. All of these writings were an attempt to connect with something powerful outside the authors’ own culture. Though all these philosophers and poets tried to emulate some of the traits they perceived this “noble savage” had, they did not try to copy his general behaviour or adopt his religion. Not even Thoreau put on a feathered bonnet and danced around a tipi. This was instead the province of various Masonic-style fraternal orders and secret societies that sprung up in the United States after the American Revolution with such names as the Society of St. Tammany, the Grand Order of the Iroquois, the Order of the White Crane, and the Improved Order of Red Men. The members of these secret societies performed faux-aboriginal ceremonies while decked-out in buckskins and feathers and underwent initiations that supposedly transformed them from “palefaces” to “redskins” to gain access to the sacred knowledge of the aboriginals and the connection with the spirit of the North American continent, as distinct from the Europe that they had abandoned. Ironically enough, real aboriginals (and all other non-whites) were forbidden from joining. In fact real ones would have damaged the organizations’ own myths, that the initiates themselves were the perfect “redskins,” the preservers of America’s primal lore. Like many aboriginals who adopted animal totems to gain their power (the strength of the bear, the cunning of the wolf, etc. ), these Euro-Americans sought to adopt aboriginal totems to gain what they saw as the aboriginal strength (their spirituality, link to nature, etc.). The massacre of the Ghost Dancers at Wounded Knee in 1890 marked the end of the Indian Wars, and the end of any perception of the aboriginals as being a threat to European hegemony of the continent. Because of this, Americans were free to admire them and by the beginning of the 20th-century, “people began to believe that the Indian retained qualities that ‘modern man’ had lost. If civilization was artificial, frenetic, and soulless, the Indian seemed to live a more authentic existence, closer to nature and basic human values.”  This was when going on camping or fishing trips started to become popular, when men could escape from the drudgery of working in the city by spending a weekend “getting back to nature.” It also saw the creation of such groups as the Boy Scouts of America; one of this group’s co-founders was Canadian author Ernest Thompson Seaton, who was disgusted with the increased mechanization of society, and felt the modern world alienated people from their roots and from each other. Thus, he wanted to see young boys learning woodcraft while dressed as “braves” in aboriginal-style outfits and with such ranks as Chief of the Painted Robe and Chief of the Council Fires, believing that the aboriginal archetype would teach the boys to understand and love nature, and produce far more balanced individuals than he felt modern civilization was capable of making. An especially dramatic example of someone who sought to flee the emptiness he saw in modern society was Archie Belaney who had an unhappy lonely childhood in England and immigrated to Canada in 1906 where he fell in love with the intense wilderness and the rich aboriginal culture he found there. Belaney adopted the name “Grey Owl” and claimed to be a Metis who was raised fully aboriginal. He became an outspoken environmental activist and author who was especially concerned about the well-being of the beaver, and enraptured people with his “Indian wisdom” about the important of nature and the folly of modern civilization, as when Grey Owl described what he claimed was his first view of London: “I knew how an animal feels when he is trapped. There seemed no escape for me from this maelstrom of haggard people and roaring machines; I was caught. Mankind, I thought, had become a stampeding herd. 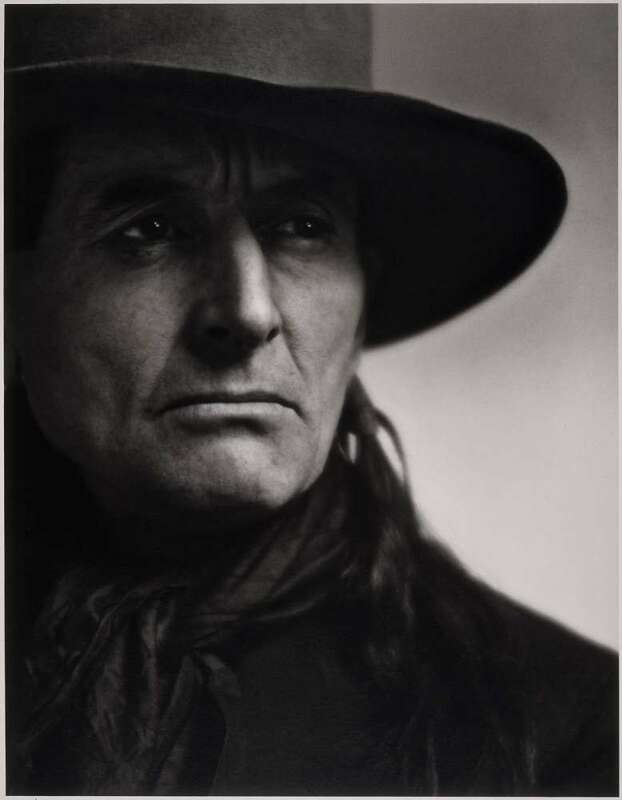 I thought of the wilderness, cold and clean.” It was a huge shock to people when Grey Owl died in 1938 and it was revealed that he had no aboriginal heritage at all. While Grey Owl had done his best to utterly embrace an aboriginal existence, others tried to experience it in less dramatic ways. The early 1960s started the idea of “powwows.” At these gatherings, “one could expect to find native people of different tribes mingling with costumed non-Indians interested in the recreation of detailed craftwork and the performances of Indian dance and song.” They were places where white people could go to dance and pretend to be native alongside real aboriginals. For the Euro-North Americans, these gatherings provided “music, dance, and literature afforded personal paths of entry into other cultures.” The powwows were often held on reservations, and though they often provided money for the tribe, many aboriginals perceived it as being yet another example of cultural exploitation, with their cultures being relegated to a hobby akin to building model trains or collecting old coins. Through the powwows, numerous people were given the opportunity to explore aboriginal traditions and many of them revelled in the chance to play the role of some aboriginal figure. Soon, many of the Euro-North Americans took this one step further and sought to embrace aboriginal spirituality. With the rise of the counterculture movements in the 1960s, many people sought to rebel against European society, seeing it bloated with colonization, forced conversions, warfare, pollution, and general suffering. The Vietnam War and other atrocities had caused many people to develop a “collective revulsion to the European heritage of colonization and genocide…. Some went deeper, addressing what they felt to be the intrinsically unacceptable character of European civilization’s relationship to the natural order in its entirety.” They sought for answers outside their own cultures, and many flocked to self-proclaimed aboriginal medicine men such as Sun Bear and Rolling Thunder, who offered seekers the chance to become one with nature by communing with the Great Spirit. The philosophy that united these seekers of a non-European spirituality was the perception that the modern capitalist world with its overemphasis on material accumulation and individual competitiveness has gone awry in spiritual, racial, economic, and ecological terms. If real aboriginal mystics were unavailable, than people flocked to Europeans who claimed to have been initiated into aboriginal mysticism, such as Carlos Castaneda, who, starting in 1968, published a very popular series of books in which he supposedly imparted secrets taught to him by a Yaqui shaman named Don Juan Matus. Also popular was Lynn Andrews, whose New Age feminism revolved around what she described as the “Indian Medicine Way” in which she “goes native by learning ‘traditional’ secrets about the ‘red road of womanhood.’” Many of the people of European descent drawn to these aboriginal systems felt the need to flee their own cultural framework, like “drowning men clutching at the straws of convenient cultures, as though to save themselves from their own history.” Because of their guilt and dissatisfaction with their own culture, they sought to escape to a new one. Michel de Montaigne, as quoted by Stelio Cro, The Noble Savage (Waterloo: Wilfred Laurier University Press, 1990), 32. Stelio Cro, The Noble Savage, 135. Henry D. Thoreau, Walden, Civil Disobedience, and Other Writings, 143. Poetry Volume IV, ed. William Frost (USA: Prentice Hall Inc., 1961) 92. Reader’s Digest Association Inc., 1989), 11. Philip J. Delorea, Playing Indian (New Haven, USA: Yale University, 1994), 59-60. John Michael Greer, The Element Encyclopaedia of Secret Societies and Hidden History, 297. Shari M. Huhndorf, Going Native, 21. Daniel Francis, The Imaginary Indian (Vancouver, Canada: Arsenal Pulp Press, 1992), 154. Philip J. Deloria, Playing Indian, 100. Donald B. Smith, From the Land of Shadows (Saskatoon, Canada: Western Producer Prairie Books, 1990), 1-82. Grey Owl as quoted by Donald B. Smith, From the Land of Shadows, 126. Donald B. Smith, From the Land of the Shadows, 211. Philip J. Deloria, Playing Indian, 128. Ward Churchill, Acts of Rebellion: The Ward Churchill Reader (New York, USA: Routledge, 2003), 231. Philip J. Deloria, Playing Indian, 168. Shari M. Huhndorf, Going Native, 164. Philip Deloria, Playing Indian, 168. Shari M. Huhndorf, Going Native, 178. Geary Hobson, “The Rise of the White Shaman as a New Version of Cultural Imperialism” in The Remembered Earth, 107.